This colourful zig-zag designer bag can be a stylish match for your date nights and long drives. 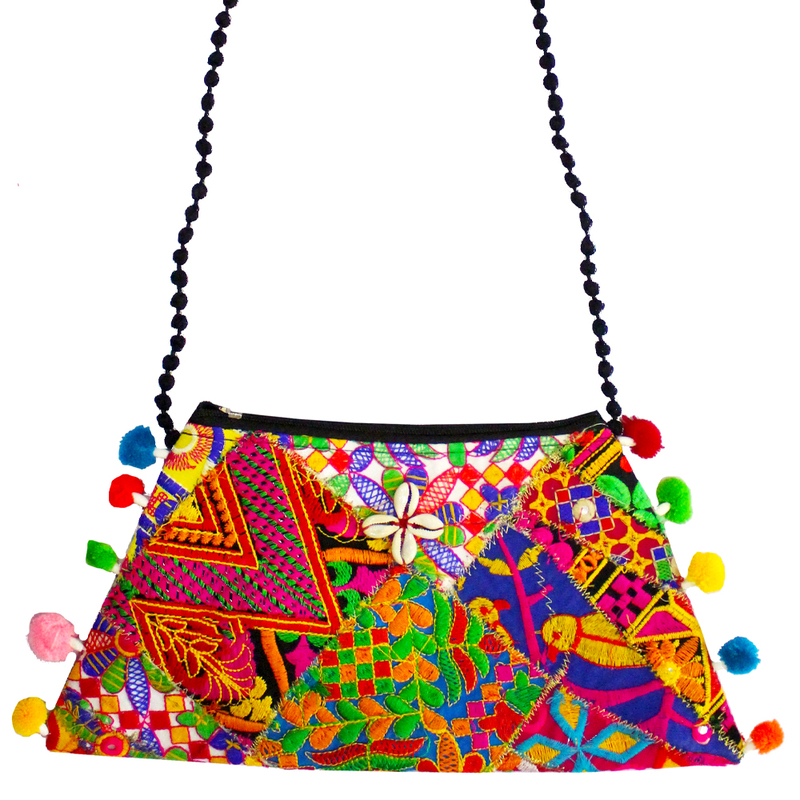 It is a vibrant looking bag with zig Read More..zag patterns sculpted all over. The handcrafted designs on its surface makes it quite a classy one. It also comes with a golden sling to add to its beauty. Show Less..